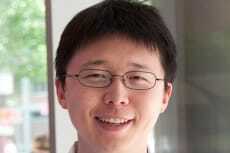 NYSCF – Robertson Stem Cell Investigator Dr. Feng Zhang, Broad Institute of Harvard and MIT, created a smaller molecule for specific genome editing. A commonly used and very efficient genome editing technology called SpCas9 is of limited utility due to its large size. Dr. Zhang and his team created six similar – but much smaller – genome editing molecues, termed SaCas9, that have similar efficiency as SpCas9. Accurate and specific genome editing technology is an extremely promising area of research and potential source of therapeutic cures for genetic diseases. This research, published in Nature, moves the entire field closer to realizing the potential of these technologies.